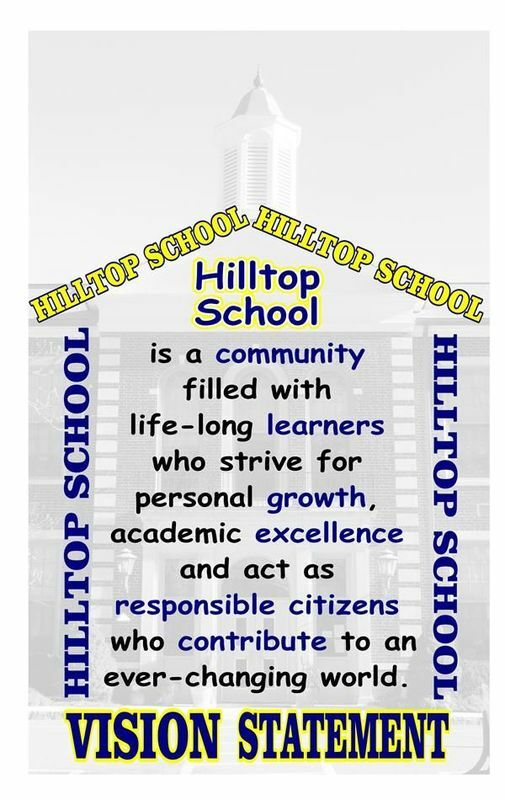 During the fall of 2016, Hilltop teachers and staff convened over several meetings to discuss what our vision is for our school. We researched school vision statements and determined what core values we hold for ourselves and our students. After finalizing the statement, we brainstormed ways to make a visual that would stand out for our students. After many iterations, we determined that the school watermark was powerful. Hilltop students will be coming home with a business card with the statement, there are framed copies in every classroom of Hilltop, along with larger ones in the cafeteria and Gym. Thank you for your support of our vision as we work to fulfill it.